Place the berries, maple syrup and water in a small pan and bring to the boil, cook over a medium heat for several minutes. Allow the compote to cool. Mix the flour, cornflour and baking powder in a bowl. In another bowl, combine the maple syrup, vinegar, oat drink and lemon zest. Add to the flour and stir carefully until smooth. Then mix in the berries. Heat a little oil in a non-stick frying pan. Reduce the heat, cook the pancakes in batches, adding approx. 4 tbsp of batter to the pan for the first 3 pancakes. Once the undersides are cooked and no longer stick to the pan, turn the pancakes over, finish cooking, then cover and keep warm. Prepare the remaining 3 pancakes straight away. 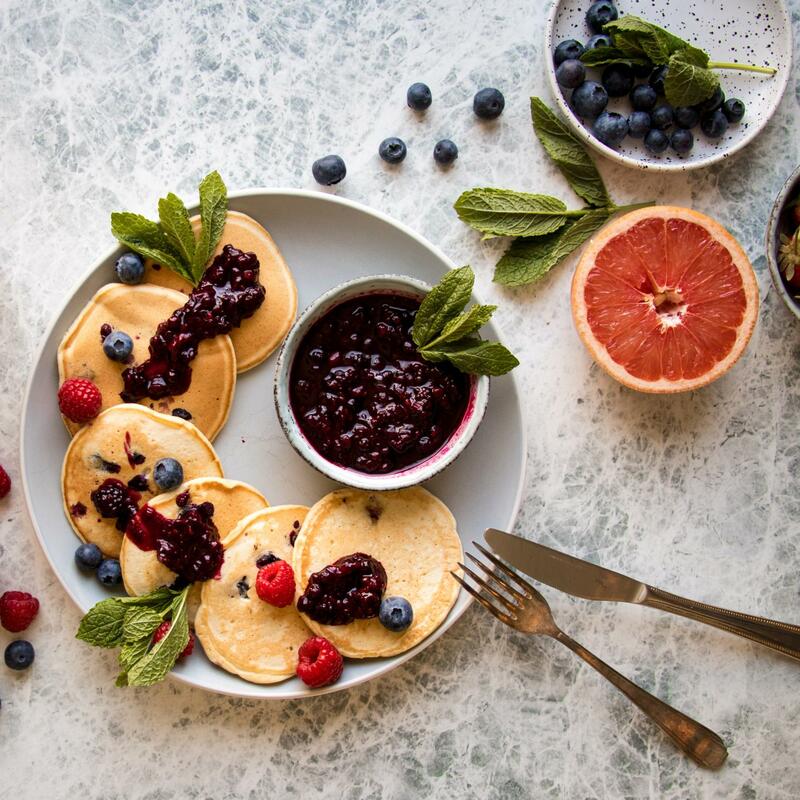 Serve the pancakes with the compote, garnish with fresh berries as desired.